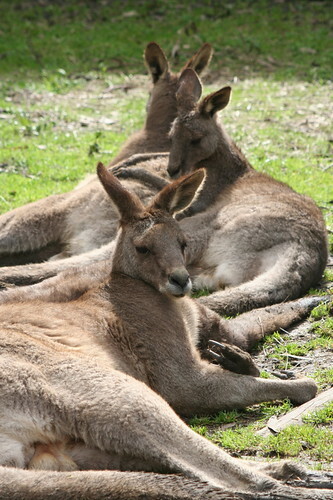 While we were in Melbourne, we visited a wildlife park on the Mornington Penninsula south of Melbourne city. I've seen native Australian animals lots of times before, but I'm always fascinated by how unique they are. 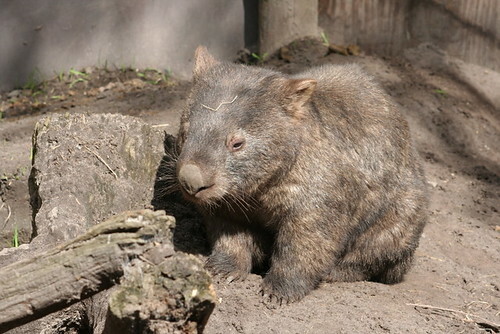 I especially like wombats with their cute waddle-ly walk. The park we went to wasn't particularly large, but it had quite a few animals, including some babies, and you were able to hand-feed the kangaroos and wallabies. 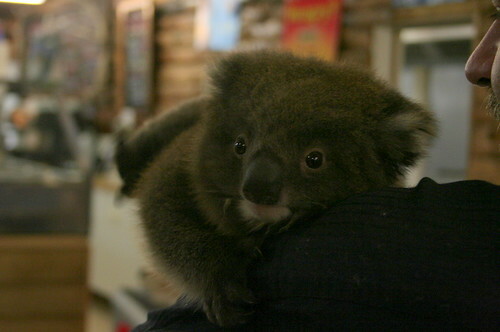 Baby Koala - not great lighting sorry, but he was so cute. And his fur was really soft. 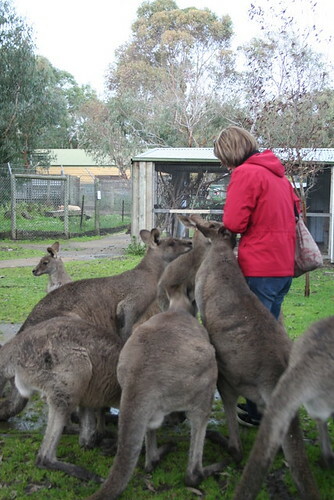 Me getting mobbed by kangaroos - they're after the bag of kangarooo food in my hand. By this stage everyone else had finished their food and I was the only one with any left.